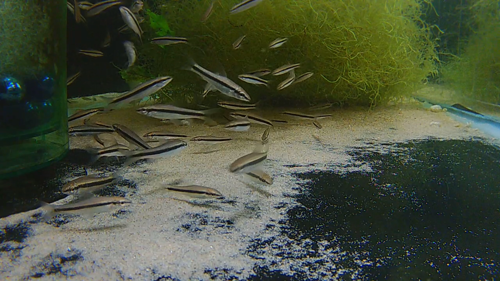 In my experience, these are the best algae eaters in the world. They do not stop efficiently eating algae as they grow like some plecos and Chinese algae eaters and flying foxes do and they don't get aggressive as adults like Chinese algae eaters do. 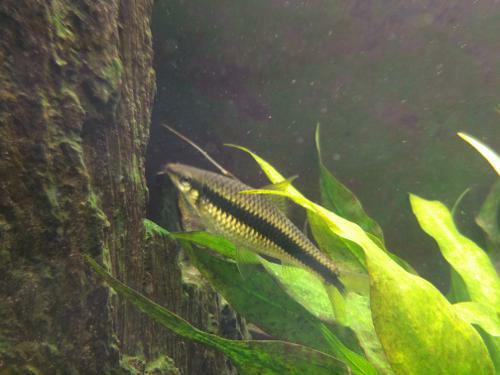 These fish eat many kinds of algae and I've had them clear a 125 gallon planted aquarium choked with black beard, diatom, and string algae in a couple of weeks. The fish for sale are juveniles. They will grow to about 4.5"-5", give or take a bit, but, even as adults, they don't pose a risk to most other fish. They have very small mouths for their size and only very small fish will be taken by adults. These are hardy fish and are easy to feed. These fish are currently eating flakes, pellets, frozen food, live food, and Repashy gel foods. They have a gregarious, peaceful nature. They can be kept singly, but congregate in large groups in the wild and appreciate the company of others of their species.